Eugenia Kim, who attended Parsons School of Design, launched her line in 1998 after a hat she had created to hide a bad haircut caught the attention of several SoHo storeowners. Her unique millinery creations, crafted from woven, felt, and straw materials, are trimmed with vintage ribbons and feathers. 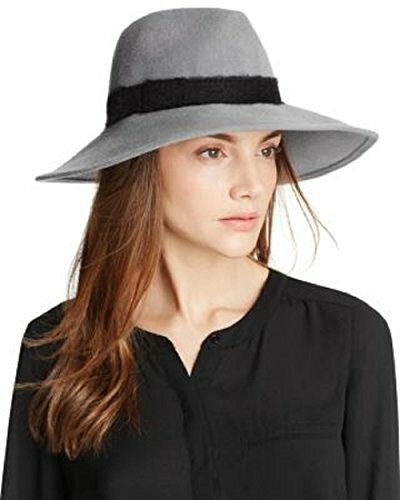 Eugenia Kim "Emmanuelle" fedora hat in wool felt. Wide, downturn brim. Made in USA.